Raspberries and balsamic vinegar give this easy lamb recipe a punch. You can use fresh frozen or canned raspberries. 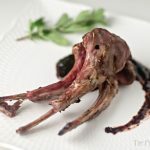 I used our easy Balsamic Pickled Fruit so the Raspberry Balsamic Sauce on Lamb Pops came together in no time. I have wanted a garden for a while. I want a garden and the time to spend in it. But apartment living and the demands of my day job from May to September had meant that a garden was a dream. Some could argue I should be dreaming bigger – ocean side, huge home, fancy kitchen – all those things are great, but all I want is a chunk of dirt so I could grow a few herbs, and maybe a couple tomatoes. My role has changed at work, and now I'll have a fewer hands-on, day-to-day responsibilities. Which means after 8 hours of work which could also be done remotely, I'll have the time to tend some green space. I considered putting my name on a community garden plot list or finding some community garden somewhere. I teased my landlord that the front of my apartment building would be a great spot for raised beds. Well, he took it as teasing but I was dead serious and would have had a dump truck of topsoil delivered by the end of the week if he had said yes. Really I have been feeling like I have outgrown my apartment the last few months, it is quiet and cozy with amazing green space (I have huge sumac greens outside my 3rd-floor apartment) but there are only a few windows and near no outdoor space. Time to start asking the Universe for what I do want! A window in every room. Natural light both in the morning and in the evening. Space for my canning and preserving equipment. A sunroom or patio that my lounge furniture would fit on. A spot for a small garden or space for planters. A kitchen that could fit 2 or 3 people working in it. I found a house with all those things! I am beyond excited, and now am starting the process to pack up and maybe purge some things! Hurray for a garden! Dreams DO come true! This recipe is perfect for packing because the sous vide does most of the work, and the sauce is so easy! 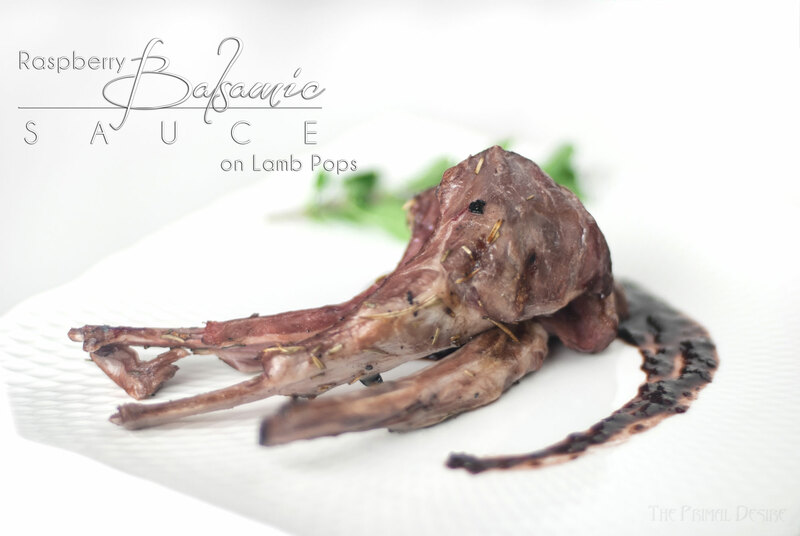 Saucy Raspberry Balsamic Lamb Popsicles! Easier than pie! 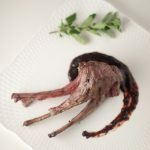 Combine lamb pops in a sous vide bag with the olive oil, rosemary and 1/2 tsp salt. Program the sous vide to 135F and let water circulate 1.5-4 hours. Combine the rest of the ingredients in a saucepan, bring to a boil and simmer until it reduces slightly, around 25 minutes. Smear the plate and place the lamb on top.